Machine wash hot medium wash. Cold rinse, short spin or drip dry. Wash as synthetics. Warm iron. 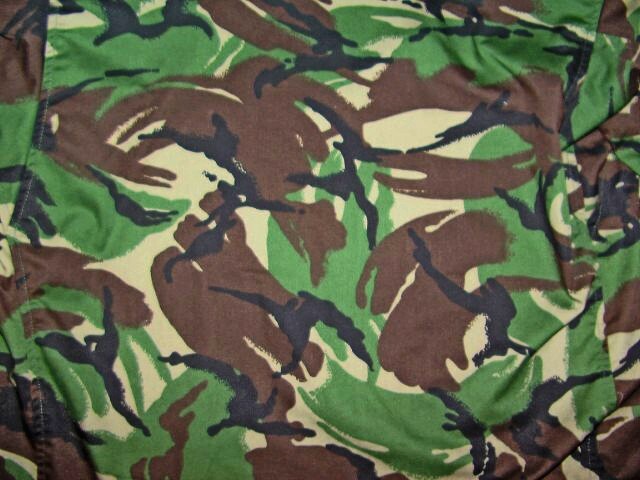 Disruptive/Displacement Pattern Material (DPM) is the commonly-used name of a camouflage pattern used by British forces as well many other armies worldwide, particularly in former British colonies. 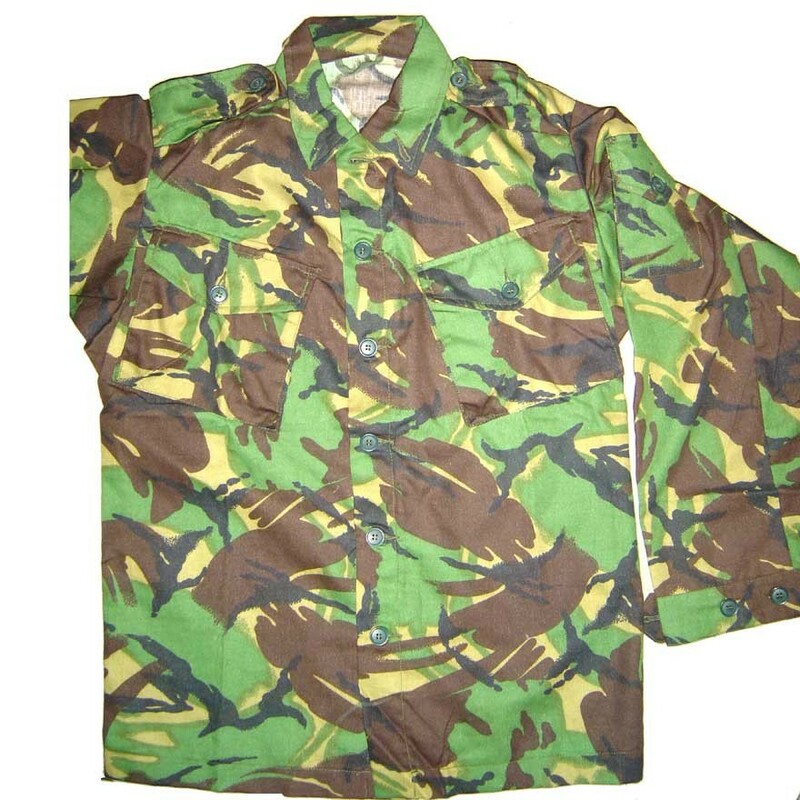 This is the British Soldier 95 woodland pattern DPM, also known as DPM-95. 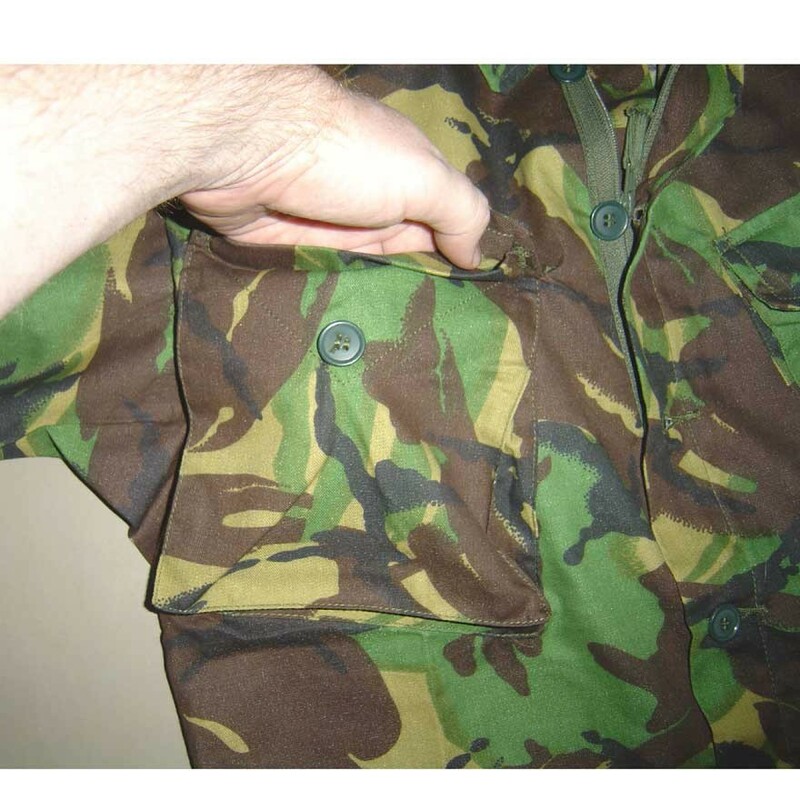 Two billow chest pockets at slight angle. 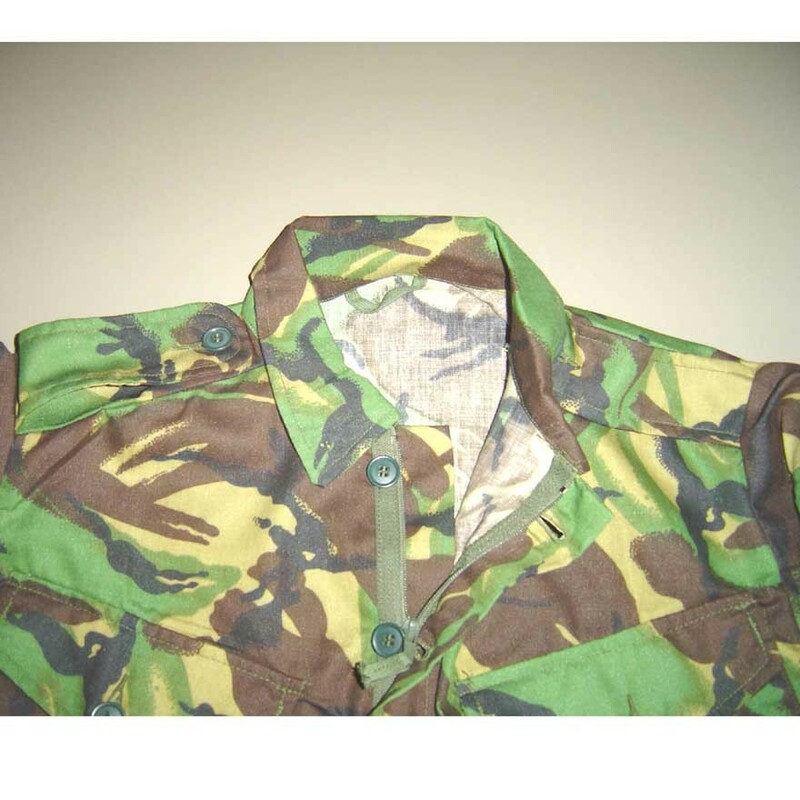 Front closure is both button and zipper. Button closure for the quiet or use zipper for quick.